Those who are suffering from addiction need plenty of guidance and support when trying to stop abusing substances. The detoxing process is very strenuous, and it is even harder still to not relapse back into their substance abuse habits. If you have experienced this journey yourself, or witnessed the struggle of a friend of family member, you know first-hand just how much support it requires. With proper training and education, you can become a substance abuse counselor and not only develop a very rewarding career for yourself, but impact and change the lives for many who are suffering. Look below and find schools that offer substance abuse counselor training. Substance abuse counselors do not just help those who are currently battling addictions. They counsel people who are worried that they may develop addictions, those who have past addictions, and those who have been affected by a friend or family member with an addiction. Substance abuse presents challenges for all types of people, battles that they must face throughout their entire lives. As a training substance abuse counselor, you can help them face these challenges and learn how to cope successfully. It is important to receive a degree and/or certification when becoming a substance abuse counselor. This will help you find jobs, but more importantly, it will help you become a stronger, more effective substance abuse counselor. While completing the training, you will learn about the effects of alcohol and other drugs, and you will learn the best methods of counseling for people who are addicted to different types of substances. You will learn counseling methods that will allow you to counsel individuals in private one-on-one sessions, or how to counsel groups of people at the same time. Substance abuse counselors are not qualified to prescribe any medication or provide psychiatric therapy; they simply provide support for those who need it. There are an increasing number of job openings for qualified substance abuse counselors. When addicts are arrested for drug or alcohol related offenses, they used to receive jail sentences. Now, the courts are sending more and more offenders to substance abuse counseling instead. This is driving the demand for qualified counselors greatly. It is possible to receive on the job training as a counselor, but with the popularity of this career increasing, job opportunities are largely going to those who have sought a substance abuse education. As more counselors are receiving their degrees, it is likely that it will soon be required of all counselors. A substance abuse degree will certainly make it easier to find a position in a halfway house, rehabilitation center, or any other facility that treats those who are recovering from addictions. 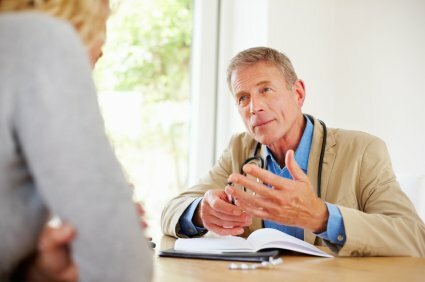 Although you will most likely be supervised by doctors or nurses, a substance abuse education will prepare you with crisis intervention and psychology information that will help you guide your clients through coping with and understanding their addictions, or their loved one's addictions. An addiction can certainly destroy someone's life, and the lives of those around him or her, but learning how to fight your addiction is quite the uphill battle. Those who are experiencing this inner struggle are given a much stronger chance with the help of a substance abuse counselor. They are given guidance and methods to help them cope more easily. There is hardly a more rewarding career because, as a substance abuse counselor, you will be potentially saving many lives. Your training will allow you to be prepared for your state licensing by your certification board. Adequately be able to help others that suffer from substance abuse. While taking your Associates degree program you’ll study the below topics and curriculum. Substance Abuse Counseling – Learn how to help others that struggle with addiction. You’ll learn the differences in treating children vs. adults as well as how addiction affects family members. Your core coursework will focus on addiction. Psychology – Study psychology and the affects substance abuse has on the human body and mind. Group Communications – Most of the counseling that is done is set in a group setting. This allows others to share their addiction with others. Addiction Prevention – Part of your responsibility is not only to help those in need with addiction but also preventive measures. You’ll learn how to education children at a young age the dangers of substance abuse. Treatment Planning – Set up detailed planning and guides that are used in treatments. These steps are essential in the treatment process. Family Psychology – Study family dynamics and how it relates to drug and alcohol abuse. The families of the addicted are usually hurt the most and you’ll learn how to deal with issues related to family dynamics. Ethical Responsibility – Since you’ll be dealing with those who are in need you have an ethical responsibility to your patients. One of the reasons we really enjoy working with the schools we work with that offer substance abuse programs is the great employment opportunities students have when they graduate. Here are the top 5 careers that you’ll qualify for upon graduation. Substance Abuse Counselor – When you graduate with your associate’s degree you’ll qualify to be employed at a rehabilitation center. AA Counselor – As an alcohol and anonymous counselor you’ll lead groups through their 12 step program on the way towards recovery and sobriety. Case Manager – As a case manager you can work at the government level and provide support to those who were affected by substance abuse. Often you’ll deal with children and help them cope with issues. We work with lots of different schools that offer both certificates and s in alcohol and drug counseling and substance abuse. When researching the schools make sure to consider the below before you enroll. Accreditation and Licensing – One of the most important things to look at for a school is their accreditation. The school you are attending not only should be accredited but the program the alcohol and drug program they are providing should allow you to get licensed in your state. Please check the state to make sure the college is fully licensed. AAS Program – If you have earned your certificate in substance abuse counseling see if the school will allow you to transfer those credits into an associate of applied science degree. School Reputation – A good school will not only have a good reputation but also externships.